Every week I am going to speak to three topics: anecdotes, books, ideas, products, or innovations that I believe are peace-building, heart-opening, community-celebrating, love-spreading vehicles. Complaining and criticizing are easy traps to fall into, but I am convinced that building up holds far more power and transformative energy. 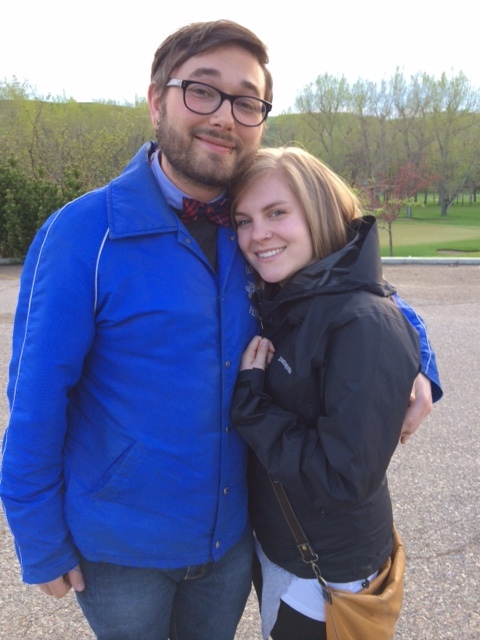 This week we were celebrating the engagement of our daughter Alex to her long-time boyfriend, Ryland. and so he is a fixed part of our family. Ry has traveled with us, he joins us for dinner at least once or twice a week, and he is a part of our every holiday and celebration. to our lives all the time. We have watched these two grow as a couple and grow individually. They are whole-heartedly committed to love and life and each other. and that seems so right as Ryland is already wound up tightly and surely in our family matrix. 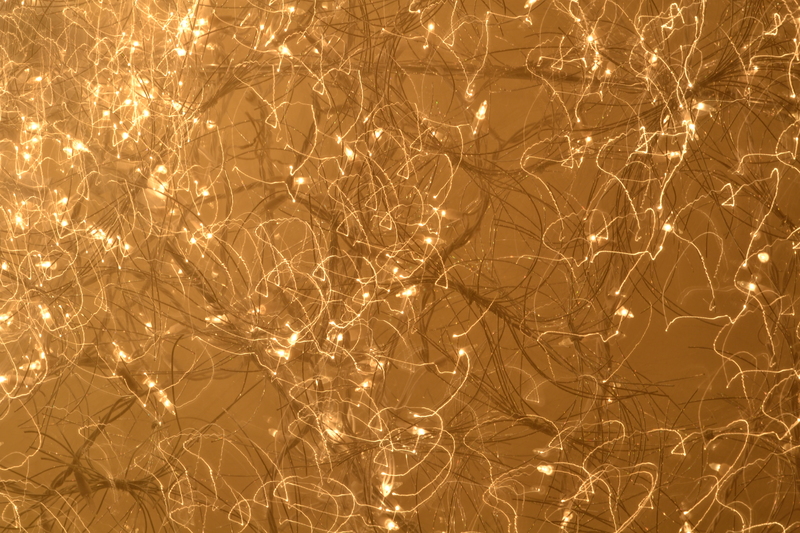 and all of the inevitable complexities and stories that are sure to unfold. But for a little while let’s rest in the beauty and lightness of this joyful engagement. and I question our relationship with technology. Even in Waterton, we have wifi, and our nature breaks often ironically become intersperced with techno time. I know, though, that my kids are good at play. In fact, I know that all kids are born masters at play. I have given talks about the importance of play, so strongly do I feel about this topic. I weep a little inside because I know we can do better. Devices play an important and undeniable place in our lives and they are not evil, but sometimes room and time must be cleared for other things. 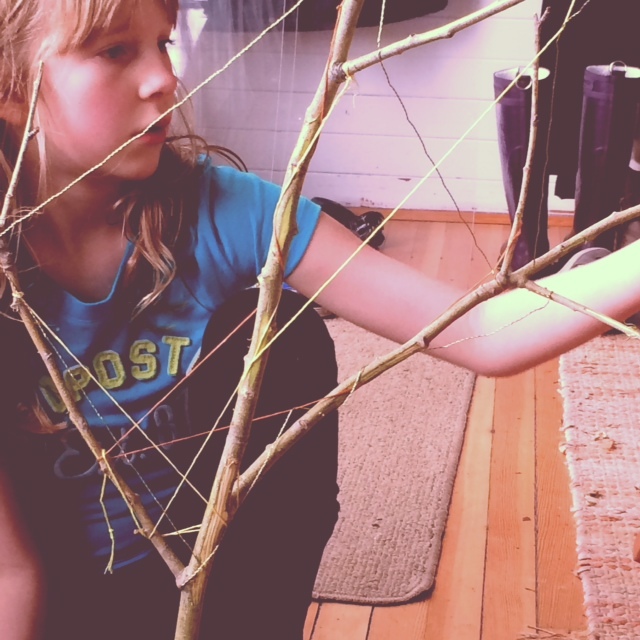 Last week, inspired by another blogger, Linda McGurk, and a yard full of sticks as we haven’t yet completed our spring cleaning, I challenged my kids to go and build or make art with sticks. At first, they rolled their eyes of course. I mean, really mom, ‘sticks’?! How much more boring and ridiculous could I possibly get? This also resulted in the kids biking to the store with Dan to buy proper little pocket knives before someone cut themselves open. 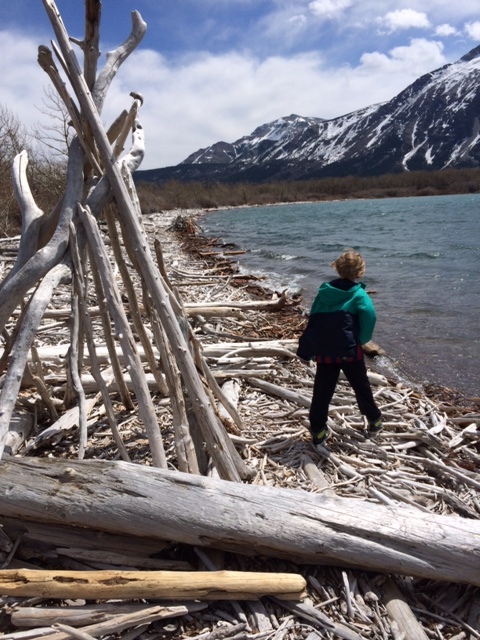 George, inspired, got excited about the idea of making a trip to ‘Driftwood Beach’ as we call it and I promised him we would make a point of doing that the next day. Here’s what was created at the lake. and play and creativity inspires more of the same. The possibilities are endless, and sometimes it need only begin with sticks. I am not a person that is into sports, at all really. 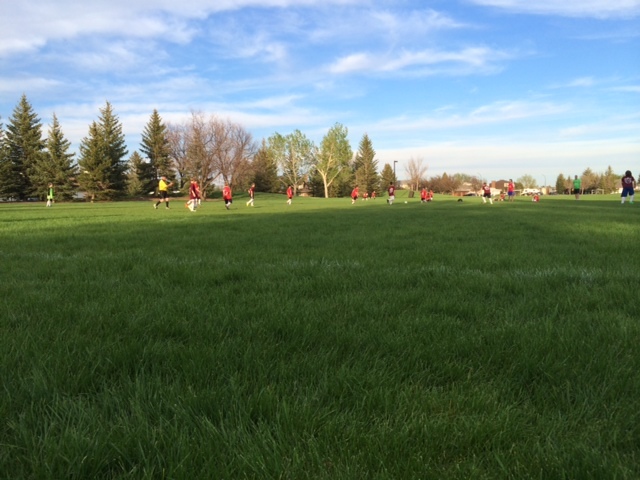 But watching George play soccer on late spring nights feels like such a peaceful and lovely thing. Tonight Dan and I sat on the grass on a blanket and watched the game, grandparents in their lawn chairs behind us. When they are all just kids learning how to play the game, it doesn’t really matter who wins thought it is exciting when we do. but I try not to make the game about the score, because it’s not really. It’s that it’s fun, and it’s an exercise in good sportsmanship, and it’s learning to work as a team. on a warm night late in May, it is pretty easy to see the appeal. Special thanks to coaches David and Willy.